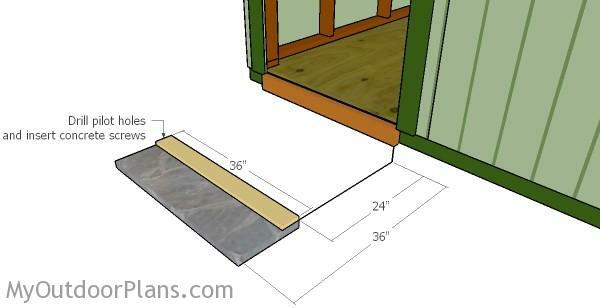 This step by step diy woodworking project is about shed ramp plans. 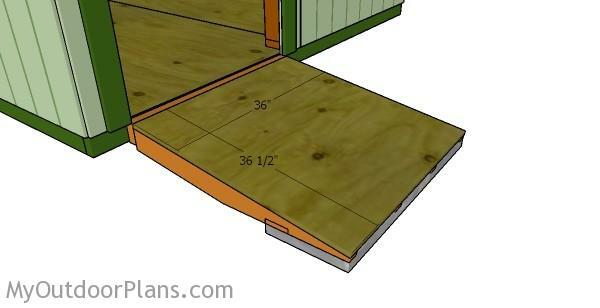 The project features instructions for building a simple 3′ wide shed ramp. 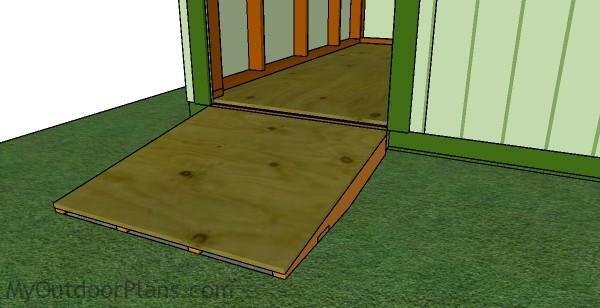 The shed ramp is sturdy and simple to build in the same time. Work with attention and make adjustments to the design and overall dimensions if you want to get the job done in a professional manner. Don’t forget to take a look over the related projects for more inspiration and ideas. 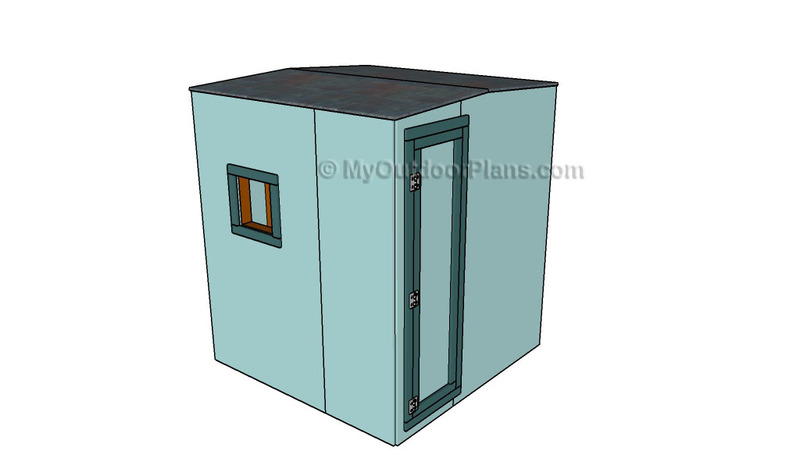 The first step of the project is to attach the 2×4 ledger to the shed. Drill pilot holes through the ledger and insert 2 1/2″ screws into the joists. Use a spirit level to make sure the ledger is perfectly horizontal. If you want to build a heavy duty shed ramp, you need to pour a concrete slab (at least 2″ thick) or to lay 12″x12″ concrete pavers to support the joists. However, you need to remove the vegetation first and dig enough into the ground so that the slab will be flush with the surface. In this manner, you will make sure the surface is perfectly level and rigid enough to support weight over the long run. Placing the joists directly on the ground is not the best idea, as the moisture will damage the wood. 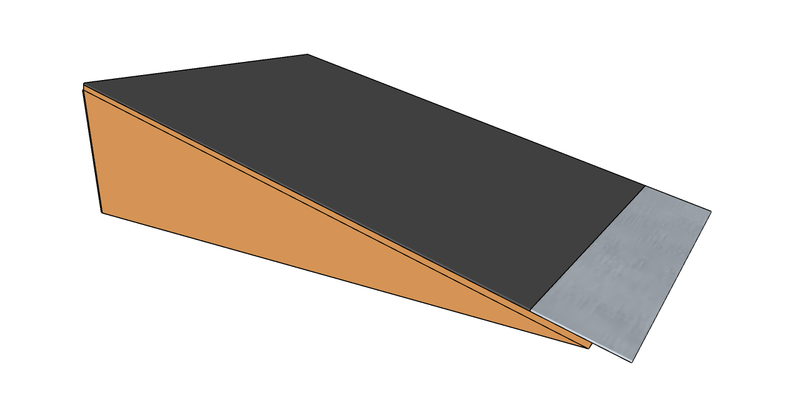 Attach a piece of 1×4 lumber to the slab, as shown in the diagram. Drill pilot holes and secure it into place with concrete screws. 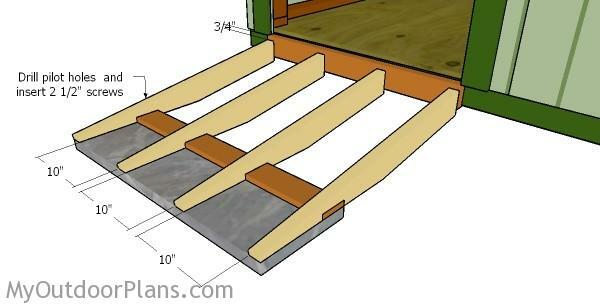 Build the joists for the shed ramp from 2×4 lumber. 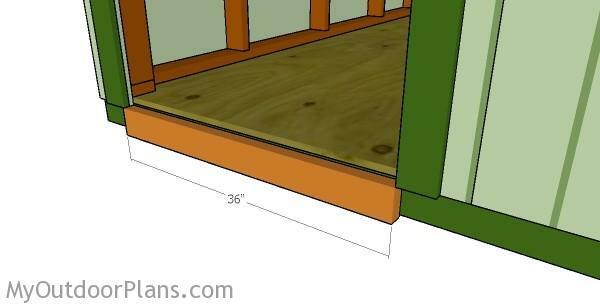 Mark the cut lines to the slats and get the job done with a circular saw. Smooth the edges with sandpaper. 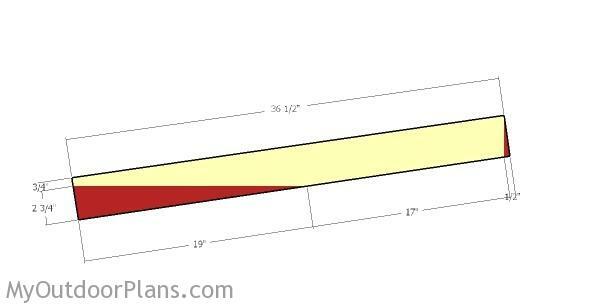 Make notches to the joists, as shown in the diagram. In order to create proper notches, you need to make several parallel cuts to the joists and remove the excess with a chisel. Clean the recess with sandpaper. 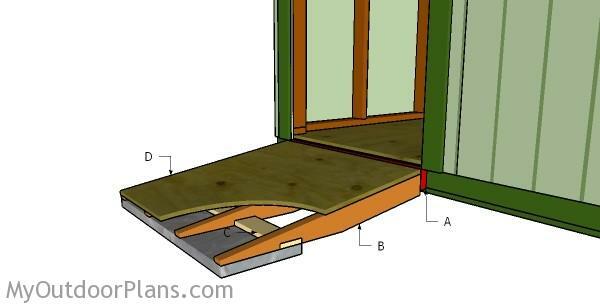 Fit the joists to the shed, as shown in the diagram. Use metal hardware to secure the joists to the ledger, making sure you leave 3/4″ from the top of the ledger to the joists. Drill pilot holes through the joists and insert 2 1/2″ screws into the support slat at the opposite end. Make sure you place the joists equally-spaced for a professional result. Last but not least, you need to attach the plywood ramp to the joists and secure it into place with 1 1/4″ screws. Alternatively, you can use 1×4 or 1×6 slats if you find it more convenient. Fill the holes and dents with wood putty and let it dry out for several hours. Use 120-200 grit sandpaper to smooth the surface. Top Tip: If you want to enhance the look of the project and to protect the wood storage shed ramp, we recommend you to cover the components with paint or stain. 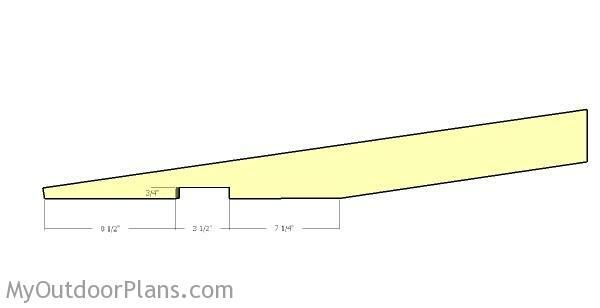 This woodworking project was about shed ramp plans. If you want to see more outdoor plans, we recommend you to check out the rest of our step by step projects. LIKE us on Facebook and Google + to be the first that gets out latest projects and to hep us keep adding free woodworking plans for you.